1. Do not talk on your phone or have loud conversations during the performance. An usher will ask you to step outside if you do not follow this rule. ALL PHONES MUST BE TURNED OFF DURING RECITAL. 2. Please try to have your child seated on time so that we may begin promptly. This is not a dress rehearsal. The rehearsals and recitals will begin at times stated previously. 3. No food or drink is allowed in the auditorium or surrounding hallways. We suggest bringing a snack but you must eat it outside. Samford usually sells concessions in the basement level. Please be sure to clean up afterwards. Rehearsal takes longer than recital, please bring a few toys to help keep children occupied. 4. At no time shall a student enter the audience in costume or tap/clogging shoes. Please wear a cover up when entering the auditorium. 5. 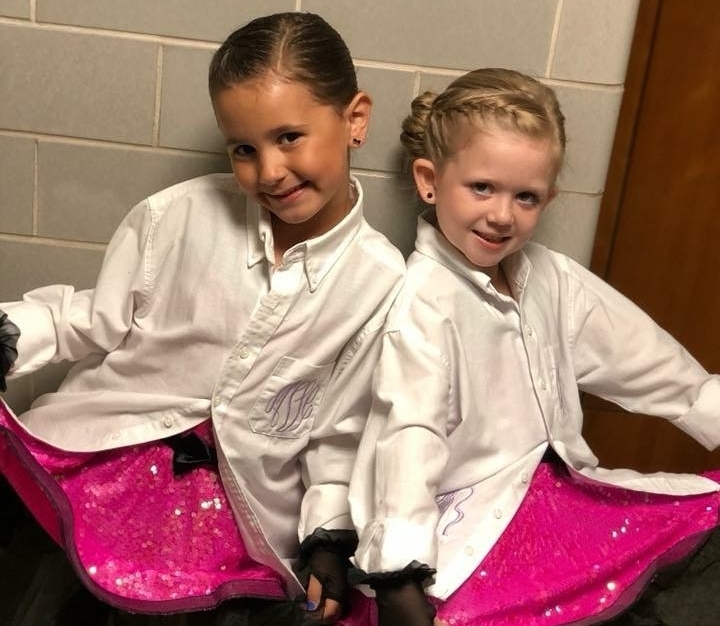 You are responsible for dressing your child at the recital. Please be dressed and ready in your dressing room 10 numbers in advance of your child’s number. Stage moms are to keep the class in the dressing room until someone comes to get you. Sorry, due to girls dressing, no men are permitted backstage! 6. Please apply stage make up to your child. Stage lights have a tendency to “wash out” dancer’s faces. 7. No jewelry is allowed unless specified by the teacher. The idea is to look uniform, plus certain jewelry could cause injuries to the dancer or others while performing. 8. It is imperative that the children remain quiet in the dressing room so as not to disturb what is happening on stage. Also, please do not allow the children to run in the dressing rooms. This is dangerous, especially with slippery tap shoes. We appreciate your help! 10. After your child’s number is over, please return promptly to the dressing room to pick up your child. Remember only females are allowed in dressing rooms and only stage moms are allowed to wait in the wings backstage. Stage moms…THANK YOU! THANK YOU! THANK YOU! 11. Please secure all headpieces so that they will not fall off. Use elastic and lots of bobby pins! 12. We cannot be responsible for lost program book coupons. If your recital package is missing a coupon, you must let us know before leaving the studio with the package. In the event you misplace or forget your coupon you may purchase a program book for $10.00. 13. There is no need to stay for the entire rehearsal. You may leave after your numbers are finished. However, we do encourage everyone to stay and enjoy the recital because the children have worked so hard for this performance. Not only might you find it entertaining, but it can also be inspiring to students and parents alike to see the different levels of dance that can be achieved. 14. Stage Moms: The backstage area is small and crowded, therefore only 2 mothers per class are allowed to stay. These moms are responsible for keeping the class quiet and accompanying the class back to the dressing room after the performance. If you would like to be a stage mom, please sign the list posted on your dance room door. We always appreciate the help of our stage moms! 15. Recital Packet: At the beginning of May, recital packets with important recital information will be given out in the studio office. Please make sure that you receive your packet. We are sorry but packets cannot be given to those with outstanding accounts. 16. Recital Lineup: Once copies of the recital lineups are posted, please correct any misspellings. When noticing the amount of time in between numbers please remember that not only will you need changing time between acts, your class will be pulled backstage 10 numbers before they actually perform. Your child might enjoy using this time to observe other dancers. It’s always fun to see what can be achieved. 17. Trophy Presentation: At the recital we present trophies to students that have had 3, 5, 10, 15 or 20 years of dance. It does not matter where your child has danced, we recognize previous years of dance at other studios. Students who sign our trophy list on the bulletin board by April 30th will be listed in the program book in our trophy section. This is Miss Kelley’s gift to the students - there is no trophy fee! If you are receiving a trophy, be backstage during the last number, we will not practice this during rehearsal.